MINNEAPOLIS--(BUSINESS WIRE)--Aug. 2, 2016-- Brenda J. Lauderback, Select Comfort Corporation board member since 2004, is being recognized by Savoy Magazine in its summer 2016 issue for her contributions to corporate boards. Lauderback is being honored as one of the nation's Most Influential Black Corporate Directors for 2016. The award recognizes black Americans who have dedicated extraordinary service and contributions to their respective organizations. With a design and marketing background, and professional experience spanning national consumer goods and retail companies, Lauderback brings extensive leadership to the Select Comfort board. Lauderback served as president of Nine West Group, Inc. and president of wholesale and manufacturing for the U.S. Shoe Corporation. She has also spent more than 18 years in senior roles with the Department Store Division of Target Corporation. "Brenda's vast experience combined with her strong ethics and inclusionary style result in valuable contributions on our board," Select Comfort President and Chief Executive Officer Shelly Ibach said. "We extend our congratulations to Brenda for this well-deserved honor." She has demonstrated her commitment to boardroom excellence by completing the National Association of Corporate Director's (NACD) comprehensive program of study for directors and governance professionals. Lauderback provides the Select Comfort board with significant insight into leading practices in executive compensation and corporate governance. 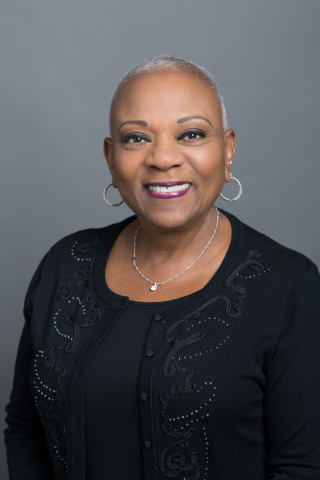 In addition to Lauderback's recognition, the issue also includes a profile of Dr. Reatha Clark King, the first black woman to chair the National Association of Corporate Directors. Nearly 30 years ago, Sleep Number transformed the mattress industry with the idea that ‘one size does not fit all' when it comes to sleep. Today, the company is the leader in sleep innovation and ranked "Highest in Customer Satisfaction with Mattresses" in 2015 by J.D. Power. As the pioneer in biometric sleep monitoring and adjustability, Sleep Number is proving the connection between quality sleep and health and well-being. Dedicated to individualizing sleep experiences, the company's 3,300 employees are improving lives with innovative sleep solutions. To find better quality sleep visit one of our more than 500 U.S. Sleep Number® stores or SleepNumber.com.